Download this reference for an overview of the metal commodities sector. From jewelry to pennies to catalytic converters, precious and base metals play an integral role in many areas of modern industry and investment. RCG’s Introduction to Precious & Base Metals Futures highlights key futures insight to help you become a more informed trader in the futures markets. 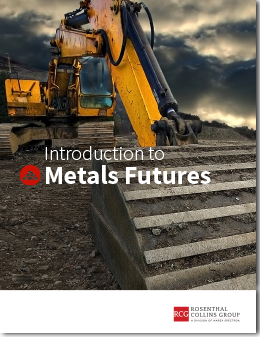 Sign up to get your FREE download of RCG’s Introduction to Precious & Base Metals Futures Guide.